Stormi! She’s 8 months old! 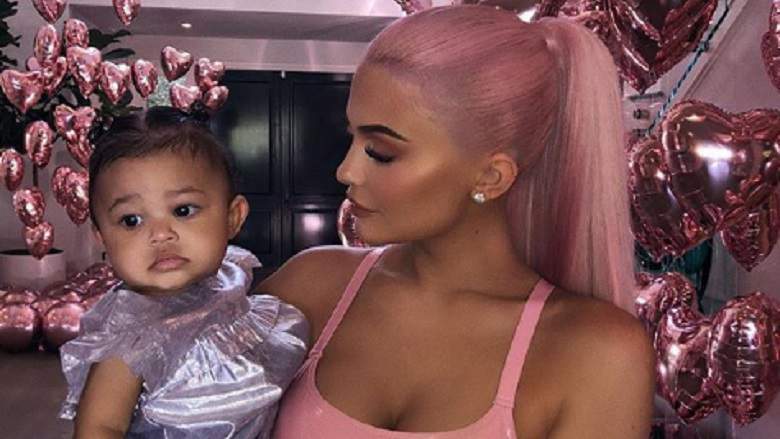 Baby girl of Kylie Jenner and boyfriend Travis Scott hit her newest age milestone on Oct. 1, which was celebrated six days later with a sweet mother-daughter photo session on Instagram. In the first Sunday snapshots, the Kylie Cosmetics founder is cuddling her daughter close while in the third, she holds up a colorful sign reading “8 Months” while Stormi flashes a huge cute smile at the camera.